30Boltwood Restaurant | Fine Amherst MA Dining | mmm…Donuts and Beer! On Friday, June 1, 2018, Berkshire Brewing Company will be celebrating their 20th anniversary and National Donut and Beer Pairing Day! 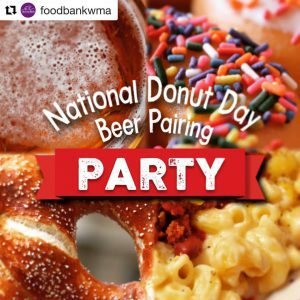 They’ll be partnering with The Food Bank of Western Massachusetts by hosting a National Donut Day Beer Pairing Party at Storrowtown Tavern & Carriage House (1305 Memorial Avenue, West Springfield, MA). 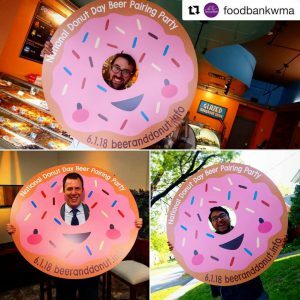 The event – which runs from 5:30-8:30pm – features donut creations from local bakeries, donut shops, and restaurants paired with a Berkshire Brewing Company beer. Guests will have the opportunity to sample all of the creations and pairings and vote for their favorite. The establishment garnering the most votes will be crowned the “People’s Choice.” 30Boltwood at The Lord Jeffery Inn will be serving up their beer-inspired donut paired with BBC’s Slue’s Maibock Lager. Tickets are $50 and valid ID is required. Visit www.beeranddonuts.info for more information. Follow along on Instagram and Facebook for more updates.